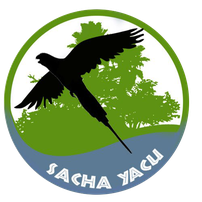 Travel preparation - sachayacu-ev Webseite! While situated in the Amazon jungle, the Centre is located on a hill at an altitude of about 800m. The location and altitude cause somewhat regular and dramatic changes in temperatures and weather conditions. Some days and the most of the nights you will need some warm clothes (sweatshirt or light jacket will suffice). On the other hand, when the sun comes out it does become very hot, so make sure you pack some light clothes too. There is not an abundance of mosquitoes, nevertheless most volunteers do bring and use mosquito nets. We have sheets and blankets for volunteer use but if you travel with a light sleeping bag it could be a good idea as well. Towels are not provided. 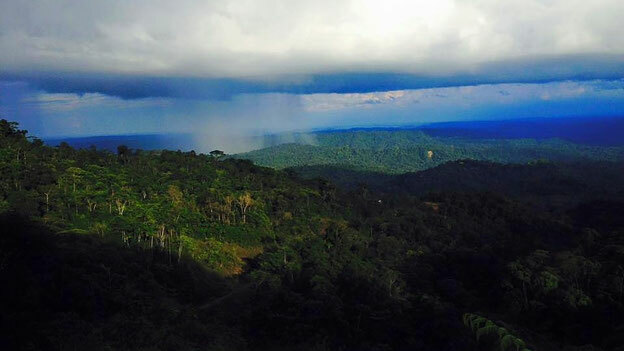 Being in the rainforest you can expect it to rain everyday, the most of the times in the form of a big downpour followed by sunshine. 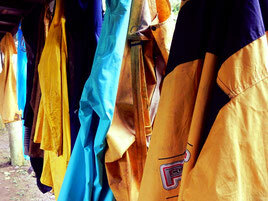 We recommend you bring at least 3 changes of work clothes because sometimes they are hard to dry. A raincoat and rainproof trousers are highly recommended. 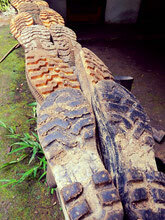 *For working it is necessary to use durable rubber boots. We have a supply of them from past volunteers and you can contact us to see if any are available in your size or you can buy them in Puyo right at the bus stop for approximately 10 USD. Copy of your passport, secondary ID and insurance just in case! Several changes of work clothes: it is highly recommended to bring comfortable clothes. Also, it is much better if you wear long pants, or at least leggings under your shorts. You will have more bug bites than you can count! Please bring an open minded, positive attitude! This work can be difficult at times, but it is highly rewarding! If you want to bring your electronics, keep in mind you are living partially outside in constant high-humidity. All of your things can get wet.